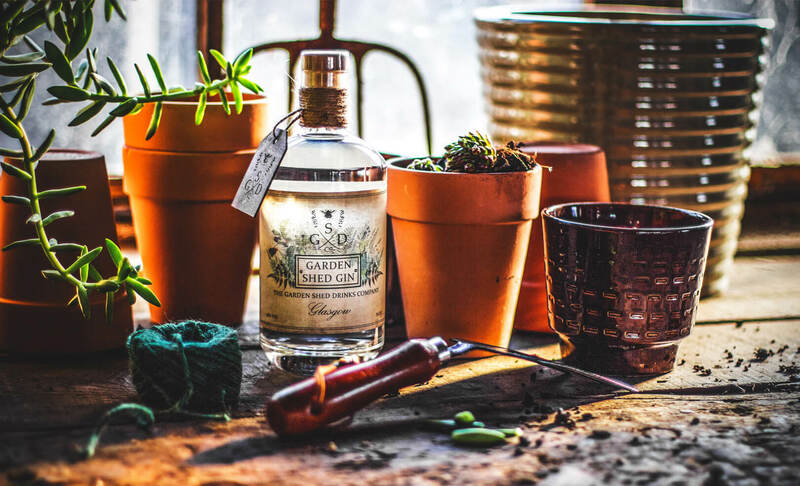 OUR AWARD WINNING GARDEN SHED GIN IS A CLASSIC LONDON DRY STYLE GIN MADE IN SCOTLAND. THE RECIPE WAS CREATED IN THE GARDEN, USING A BLEND OF 13 BOTANICALS INCLUDING HOMEGROWN BLACKBERRIES, DANDELION ROOT AND LAVENDER. WE TOOK INSPIRATION FROM THESE THREE KEY INGREDIENTS AND BUILT OUR RECIPE AROUND THEM. BOTTLED AT 45% ABV, OUR GARDEN INSPIRED GIN IS PACKED FULL OF FLORALS AND SPACES, WHICH WHEN DISTILLED, CREATES A FRESH SMELLING AND TASTING GIN WITH A DINSTINCTIVELY SMOOTH LONG LASTING FINISH. SO WE LOVE IT TOO! THIS IS OUR POINT OF DIFFERENCE. (AND IT HAS A REALLY COOL NAME!). On the nose: Floral notes from the lavender, and a slight sweetness from the blackberries are accompanied with fresh lemon and a hint of earthiness. On the Palate: soft and rounded, with earthy floral notes which complement the gentle citrus. On the Finish: a hint of spice and liquorice notes lead to a long and warming finish. We recommend 3:1 over plenty of ice garnished with a sprig of rosemary and fresh brambles. Freeze the brambles and they will help keep your drink nice and cold.